EDICIÓN ORIGINAL: Animal Man núms. 1-9 USA FECHA PUBLICACIÓN: Febrero de 2016 GUIÓN: Grant Morrison DIBUJO: Chaz Truog, Tom Grummett FORMATO: Cartoné, 240 págs. A color. 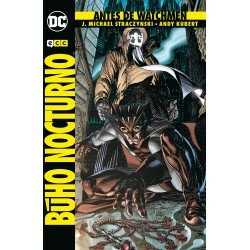 EDICIÓN ORIGINAL: Before Watchmen: Nite Owl núms. 1-4 USA (Before Watchmen: Nite Owl/Dr. Manhattan USA) FECHA PUBLICACIÓN: Septiembre de 2017 GUIÓN: J. Michael Straczynski DIBUJO: Andy Kubert FORMATO: Cartoné, 120 págs. A color. 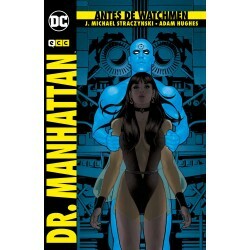 Autores: Adam Hughes / J. Michael Straczynski Edición original: Before Watchmen: Dr. Manhattan núms. 1-4 USA, Before Watchmen: Nite Owl/Dr. Manhattan USA Formato: Cartoné, 120 págs. A color. 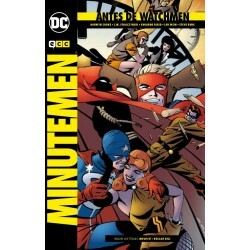 EDICIÓN ORIGINAL: Before Watchmen: Minutemen núms. 1 a 6 USA, Before Watchmen: Dollar Bill núm. 1 USA, Before Watchmen: Moloch núms. 1 a 2 USA FECHA PUBLICACIÓN: Enero de 2018 GUIÓN: Darwyn Cooke, J. Michael Straczynski, Len Wein DIBUJO: Darwyn Cooke, Eduardo Risso, Steve Rude FORMATO: Cartoné, 264 págs. A color. 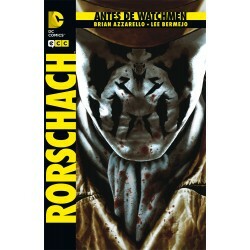 EDICIÓN ORIGINAL: Before Watchmen: Rorschach núms. 1 a 4 USA FECHA PUBLICACIÓN: Enero de 2016 GUIÓN: Brian Azzarello DIBUJO: Lee Bermejo FORMATO: Cartoné, 112 págs. A color. 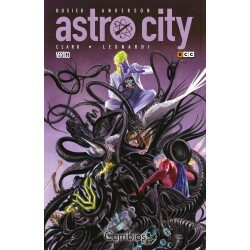 EDICIÓN ORIGINAL: Astro City núms. 42-46 USA FECHA PUBLICACIÓN: Agosto de 2018 GUIÓN: Kurt Busiek DIBUJO: Brent Anderson, Matthew Clark, Rick Leonardi FORMATO: Cartoné, 136 págs. A color. 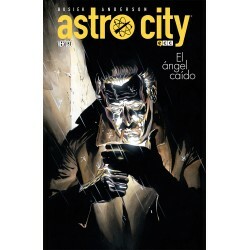 EDICIÓN ORIGINAL: Astro City: Tarnished Angel USA || FECHA PUBLICACIÓN: Diciembre de 2015 || GUIÓN: Kurt Busiek || DIBUJO: Brent Anderson || FORMATO: Cartoné, 224 págs. A color. EDICIÓN ORIGINAL: Astro City 18-21, 23-24 USA FECHA PUBLICACIÓN: Octubre de 2015 GUIÓN: Kurt Busiek DIBUJO: Brent Anderson FORMATO: Cartoné, 160 págs. A color. 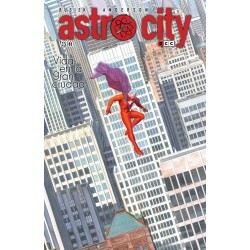 EDICIÓN ORIGINAL: Kurt Busiek's Astro City núms. 1 a 6 USA. FECHA PUBLICACIÓN: Enero de 2015 GUIÓN: Kurt Busiek DIBUJO: Brent Anderson FORMATO: Cartoné, 192 págs. A color. 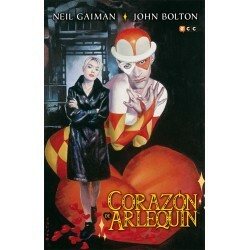 EDICIÓN ORIGINAL: Harlequin Valentine USA GUIÓN: Neil Gaiman|| DIBUJO: John Bolton FORMATO: Cartoné, 40 págs. A color. 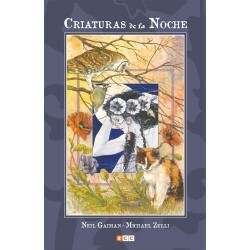 EDICIÓN ORIGINAL: Creatures of the night USA FECHA PUBLICACIÓN: Junio de 2016 GUIÓN: Neil Gaiman DIBUJO: Michael Zulli FORMATO: Cartoné, 48 págs. A color.